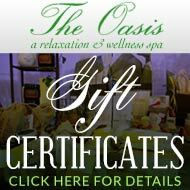 About The Oasis Day Spa | Mandeville, Covington | Best Day Spa on the NorthShore! Cash is accepted for gratuity only. 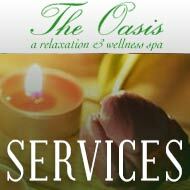 Voted "Best Day Spa on the Northshore"! Mandeville, Covington and the Northshore. 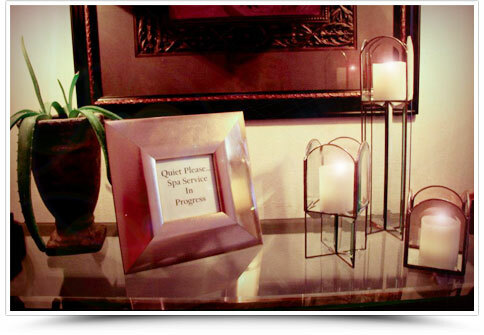 Our services include nail services, massages, makeup services, spa treatments, spa facials, waxing and tinting services, clinical treatments, special Oasis packages for the ultimate spa experience, and services Just for Men. 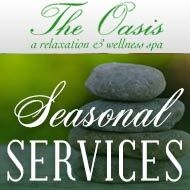 Be sure to take a look at our seasonal services. "I have been coming to the Oasis for two years now. Their facials have helped improve my skin tremendously! The staff is accommadating and very welcoming. They have a wonderful selection of skincare products that I use as well. Every time someone compliments my skin, I tell them to go see Lisa at The Oasis Day Spa!" Zetta G.